LIFETIME WARRANTY ON THIS BEAUTIFUL 2012 FORD FOCUS SE !! PLEASE READ: THIS VERY CLEAN 2012 FORD FOCUS SE COMES WITH A LIFETIME ENGINE TRANSMISSION AND FULL POWERTRAIN WARRANTY AT ZERO COST TO YOU!! Take a close look at this 2012 Ford Focus that just arrived here at Boyles Auto. Beautiful white exterior with lite gray inside. Just fully serviced here at the dealer from front to back so you're 100% ready for the road. This Focus drives and handles perfect and it's nicely equipped with bucket seats, automatic, alloy wheels, mp3 stereo, tilt, cruise, cd xm and much much more. This 2.0 4 cyl engine so you can expect great mpg in town and on the highway in this Focus. You will like everything about this Focus so make the short drive to Boyles Auto and see it for yourself. We offer bank and credit union financing here at the dealership for your convenience with rates as low as 1.9%, so you can drive this Focus home with no money down for $192.00 a month. 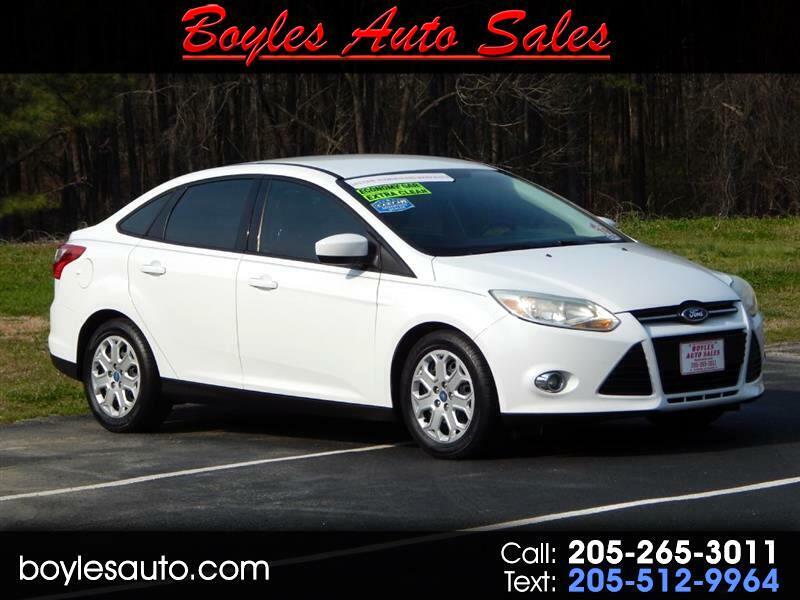 Also, for that added peace of mind that comes standard here at Boyles Auto Sales remember this: THIS SUPER CLEAN 2012 FORD FOCUS SE COMES WITH A LIFETIME ENGINE AND TRANSMISSION WARRANTY AT ZERO COST TO YOU!! NOT A 30 60 OR 90 DAY WARRANTY...... A LIFETIME!! Call Scott at 205 265 3011 or Call Randy at 205 269 3196. Visit our website at www.boylesautosaleal.com to see others like this one or you can fill out a credit app for faster financing. Thank You! !